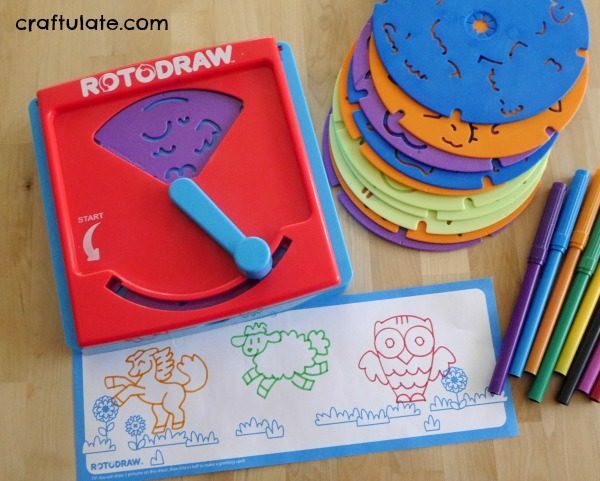 Disclosure: I was provided with this Rotodraw from Kahootz Toys free of charge in exchange for my fair and honest review. Please see my disclosure policy. 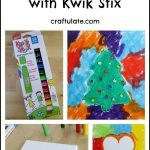 This post also contains affiliate links, which means that at no extra cost to you I can make a tiny bit of money to help support this blog. Thank you! 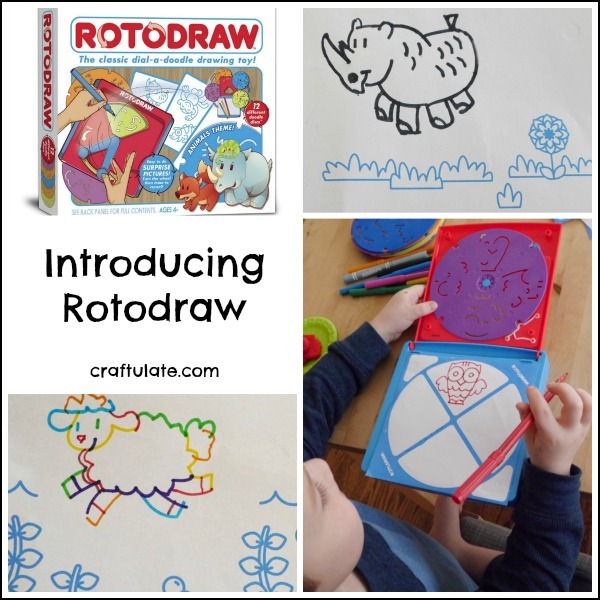 My son and I are always on the look-out for new ways to create art, and we were both really excited to try out Rotodraw! So here’s how it works – the Rotodraw base has a front panel that lifts up. Inside the lid you insert one of the discs, and on the base you place some paper (the kit comes with printed paper but plain paper works fine too). After closing the lid, you align the disc, and start tracing all the lines shown in the window. Then use the handle to rotate the disc to the next position, and mark out the next set of lines. After you have completed all four sections of a disc, open up the lid and ta-da! You’ve created a picture! This was my son’s first attempt – you can see that it isn’t perfect but very clearly a koala! It didn’t take long before we both really got the hang of the tool. 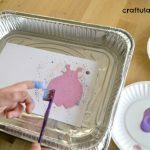 One of the most entertaining aspects to this activity is the element of surprise – if you look at the disk plates first (there are 12 to chose from) it’s really hard to tell what the end result is going to be! 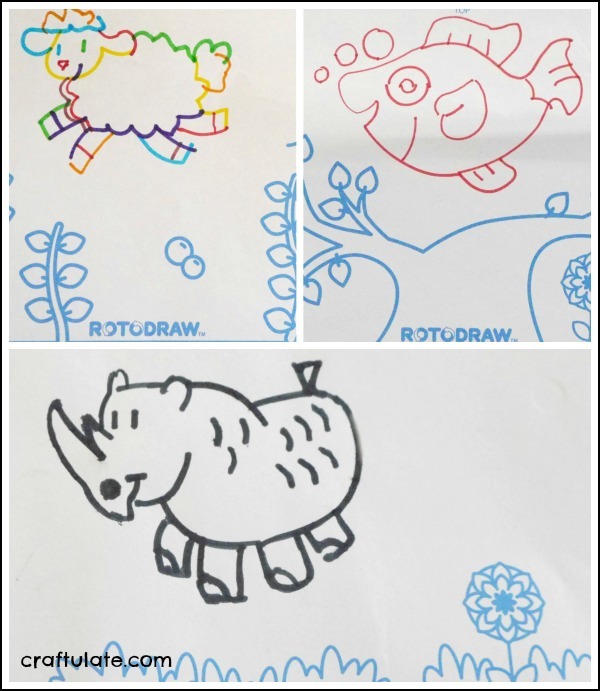 This means you do end up with some funny combinations when using the printed paper that comes with the kit – like a fish swimming in a tree, or a sheep in the ocean. 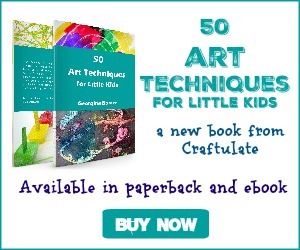 Sticker pages are also included – and really easy to make! As you can see we also played about with using just one color pen and also using a variety. 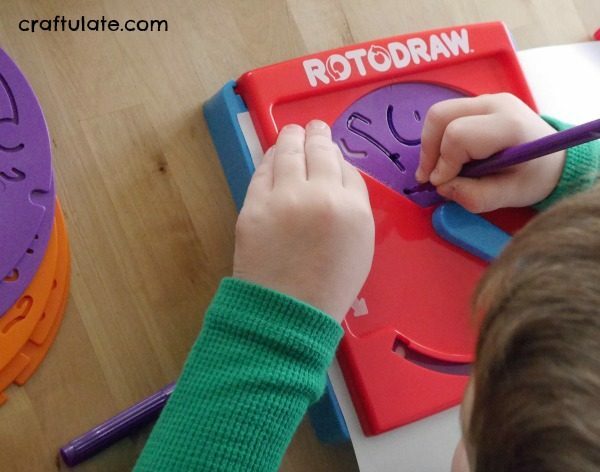 Once your child has mastered the simple trick of getting the disc lined up before they start, they can happily operate Rotodraw all by themselves.